Hello! Today I'm back with my first experience of the OPI Grease Collection. 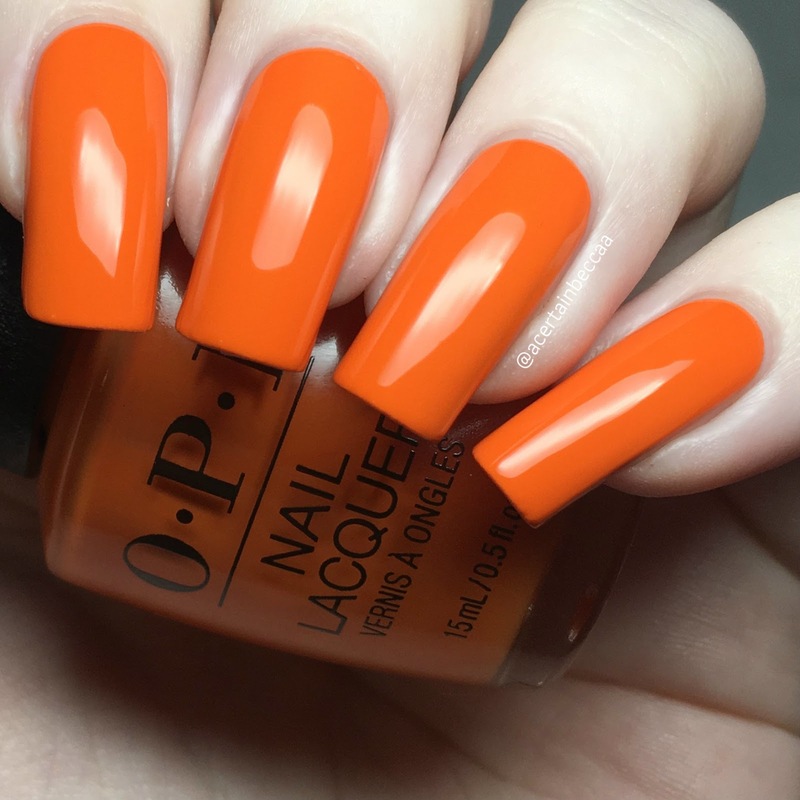 The lovely people over at new UK stockist Queen of Nails offered me a polish of my choice to swatch for you. I chose 'Summer Lovin' Having a Blast! ', although honestly I like the look of the whole collection. Read on for my swatch and for some quick nail art! 'Summer Lovin' Having a Blast!' is a bright saturated orange creme. The formula is very smooth and easy to apply. This has good opacity on the first coat, although I did need a second to cover a few streaks and even the colour out completely. Below is two coats with topcoat. As mentioned, I did do a quick bit of nail art. 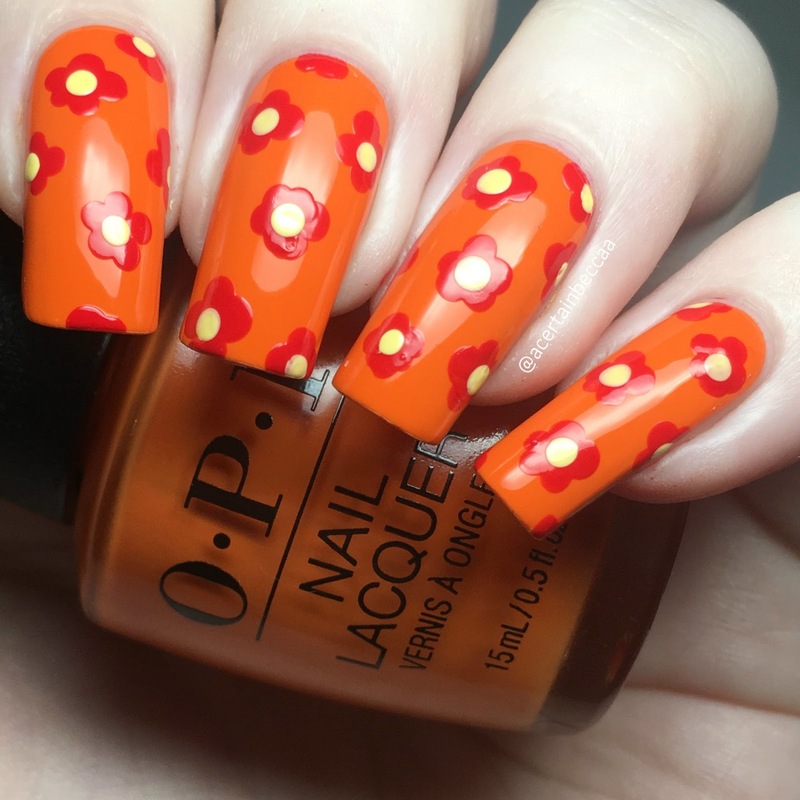 I decided on dotting tool flowers. I used a bright yellow polish for the centre of my flowers, and a rich red for the petals. What do you think? I'm super happy with both the polish and my flowers. Those of you who have followed me for a while will know that orange is one of my favourite colours, especially when it's a bright one like this! I also love the look of the leather effect polishes from the Grease Collection, and hope to get my hands on those soon! Love the flowers you added!